Happy New Year!! I hope 2015 is full of blessings for you all! So what have I been up too… Well on the 23rd of December we finally got my book on Amazon. God is amazing and with His divine help, guidance and bringing all the right people along the book is a reality. So here’s all the information for those of you who are interested in reading my story. 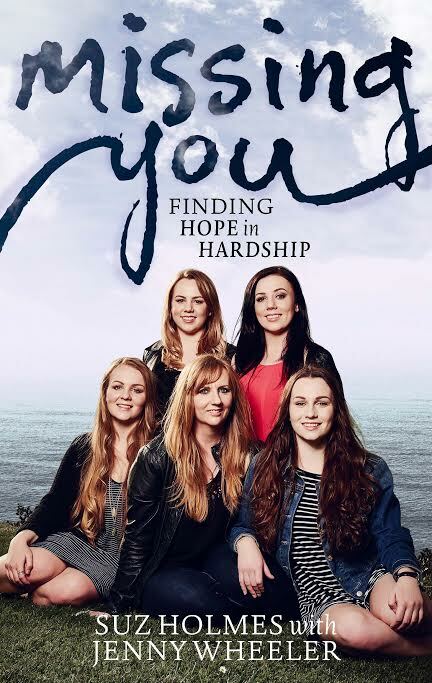 Now you can get the background story, and how her relationship with God, our Saviour, endured and was ultimately fortified in her book, Missing You, Finding Hope in Hardship. For those of you who know Suz and knew Mark and her during the ten years of cancer and illness, this is the behind-the-scenes peek at what you possibly never knew was going on. Suz has used her personal journal to write her story, Missing You. In which her prayer is that you will discover that God can be trusted to care for and protect you in your greatest battles and everyday. Suz dodges no bullets in telling the story of the family’s next ten challenging years, holding tight on a traumatic roller coaster ride towards widowhood. As one of the founding team for Houston-based Christian MXTV, and the subject of several faith-based TV documentaries, Suz and Mark’s story has already inspired many facing grief and loss. In Missing You, like her soulmate Job, Suz looks her God full in the face and with rare honesty demands answers. She allows us to eavesdrop on an intimate exchange where pride and face-saving have no place. What emerges is a redemptive story that denies Cancer the Last Word. For those of you who do not have a Kindle, you can download an App for you device FREE here, follow the instructions on Amazon and you’ll be up and reading in no time.